Gucci fans and Harry Styles fans may be two equally ravenous groups. But, as it turns out, the singer counts himself among the brand's celebrity followers. On his latest tour, Styles has opted for a dizzying number of bold printed suits from designer Alessandro Michele. 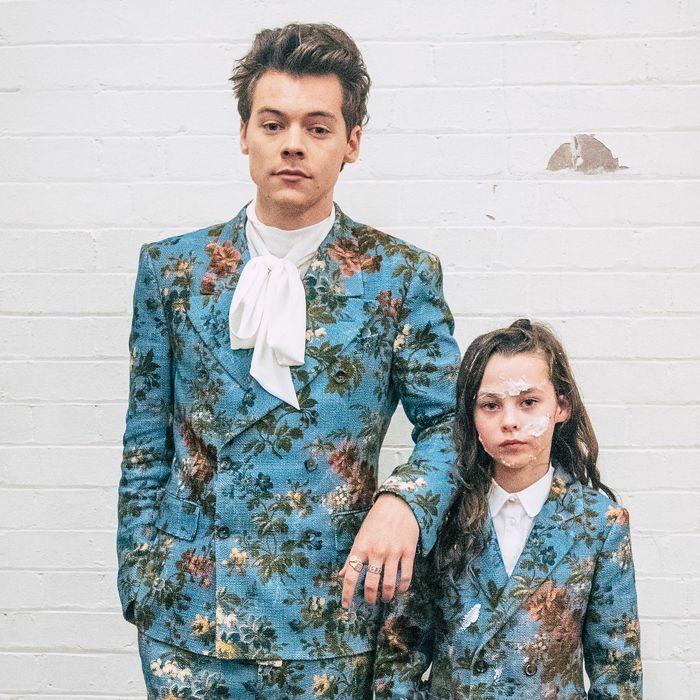 Now, for his latest music video, Styles has rounded up a crew of trendsetting elementary schoolers to show off the coolest of Gucci's designs (in unusually small sizes). The "Kiwi" video features a group of kids getting into trouble (and a food fight), all dressed in enough Gucci to make any adult seriously jealous. For all the Gucci fans in the house, this music video is a must-watch. And for those Harry Styles fans, well, let's just say it's not bad for you either. Now, just try not to get this catchy song stuck in your head. Check out the video for Harry Styles's song "Kiwi" below, then shop current Gucci styles we love!